For the past 26 years, Suzane Northrop has worked to bridge the gap between the world of living and the spirit world. 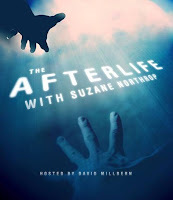 Her literary credits include The Séance: Guide for the Living, The Séance: Messages from Beyond, Second Chance: Healing Messages from the Afterlife, Everything Happens for a Reason, Recipes for the Soul (a Medium's Cookbook). She has lectured extensively in the United States, Great Britain and Canada to groups including the New York University’s Anthropological Society, New York Women’s Bar Association, The Spiritual Frontier Fellowship, American and British Societies for Physical Research and most recently the Scripps Center for Integrative Medicine.